A versatile, yet easy-to-use tool for organizing ideas and data. Creates mind maps that intuitively illustrate your thought process. Outputs a wide variety of document styles and formats. Delivers presentations from mind maps with built-in modes and MS PowerPoint export. Perfect for brainstorming, project planning, meeting management, note taking, and more. "MINDMAP is a critical tool at MyNew Technologies"
"Great mind mapping tool from quality company." I used and tested about a dozen mind mapping tools. I ended up using ConceptDraw's Mindmap through several versions now and have stuck with it almost exclusively. It has everything I need and I alternate between list/outline and actual mapping depending upon how I am thinking at the time and what is most appropriate for what I am doing. I started with Mindmap. I think most ConceptDraw users started with ConceptDraw. But I have since found the integration with CD Project and CD very useful at times. The theming, arranging, and relational tools are easy to use and intuitive. There are also a lot of free additions in the CD Store that are useful in themselves and for example and inspiration. Overall I am happy with the CD universe but it is pricey compared to a lot of other options including some decent options that are free to use. I also wonder why they chose to directly incorporate Twitter, Evernote and MS OneNote as they seem arbitrary choices subject to personal preferences. My biggest pet peeve is that in the Outline view I always have to reset the font and I cannot set a standard font and size. It cannot be set globally or for the document being worked on. In the middle of working after I have already reset the font, I will need to update all new work with my font choice. It is relatively minor but this becomes really tedious for me! Very good product and the company has been good over the years at responding to my support questions. I believe this product is targeted to larger corporate customers or project management and facilities management related professionals. So if you are just looking for a cheap mindmapping tool this may not be your first choice. But if you want reliable software that is well supported and put a premium on that, this was my best choice. For Mindmap specifically this is a great tool for organizing and developing thoughts for a variety of purposes. Specifically it can be a starting point for a project which can then later be fleshed out in a more formalized way. On the level of presentation it can be used for graphical purposes into a different medium presentation or on its own direct from Mindmap. It is also useful for reference points/notes in project management. "Mindmapping made easy in speed times"
Limitation in bubble formating oposed to other mindmapping software available. Asides from that, this software is made to make you more efficient. Mindmap is great when used as a standalone app, but when used with other ConceptDraw products, its potential is really met. It's not a cheap option but buying the ConceptDraw Office suite could definitely take you to the right path. ConceptDraw Mindmap was the first commercial mindmapping software I really used, and many of the key features of other competitors are, to my consideration, taken form this app. The main feature is the availity to integrate it with the Project and Diagram makes it all worthwhile. Plus the time dedicated to mindmap formating is reduced alot when applying or desiging your own themes. Mainly time reduction throughout the use of this software when brainstorming and presenting to clients or the boss is the main advange over other Mindmapping software. "Great way to share and discuss ideas"
"Neat Software for Creating Idea Maps"
I like best that it has a very familiar user interface. It is very much like existing Microsoft software (word, excel, etc.) so I feel that I already know how to navigate it. I dislike that it is a "local" software so it is not as easy as other chart creation software to "share" documents with coworkers. If you are familiar with Microsoft products then give this software a try for sure because the interface is so similar. I am solving the problem of keeping track of ideas and brainstorming. I used to just use paper/pencil but this gives me a digital format to keep track of everything easily. It allows me to put my ideas out in an organized fashion. That is all I really like. Give it a try. There are free trials out there, so you have noting to lose. I found others that I like better. I was writing my strategic plan and I was using it to lay out my ideas. "Mind mapping for projects "
The best part of using the software was that I did not have to waste paper ink or lead. No in-depth ways to create a time line, or auto generation features for outline purposes. Teen used for indirect Grassroots marketing techniques for Street teams. "Not what I Needed "
Did not like it, was hard for me to use. Hard to use for me.went to the right soft ware thats is good for me. I like the integration with other apps, styles available and ease of use. Effective for note taking and brainstorming. Also good at documenting different aspects of a problem/product. Beautifully designed and simple to use. Good for collaborating and ranking ideas. Getting ideas down on paper. Multiple users can collaborate on it and it helps put things in a format that makes it easy to visualize. * We monitor all ConceptDraw MINDMAP reviews to prevent fraudulent reviews and keep review quality high. We do not post reviews by company employees or direct competitors. Validated reviews require the user to submit a screenshot of the product containing their user ID, in order to verify a user is an actual user of the product. Hi there! 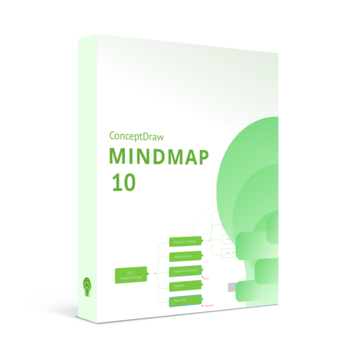 Are you looking to implement a solution like ConceptDraw MINDMAP?